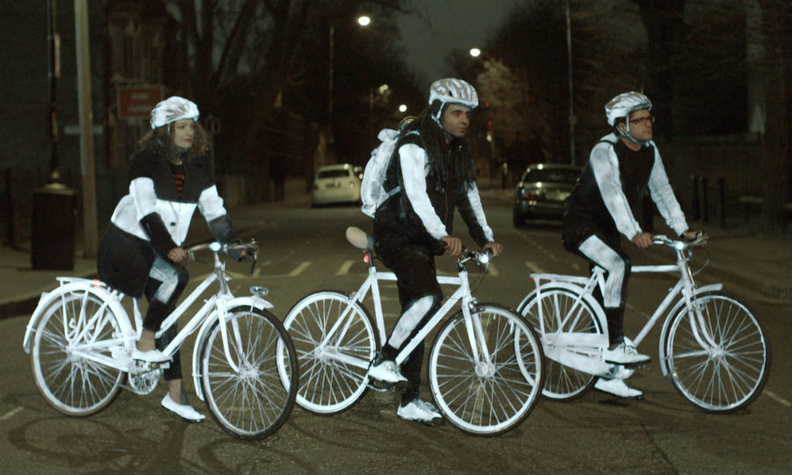 Volvo's ad shows cyclists with their clothing and bicycles sprayed with reflective paint. Volvo's "LifePaint" ad won two Grand Prix at the Cannes Lions International Festival of Creativity in 2015 – in the Design and Promo & Activation categories – but an ad for the product has failed to pass the "legal, decent, honest, truthful" test laid down by the UK's Advertising Standards Authority regulatory body. The ad, which is still running in different forms on Volvo websites, has been banned by the watchdog for being misleading and exaggerating the performance of the product, following a complaint from a member of the public. Designed to highlight the safety features of the Volvo XC90, Grey London's work shows cyclists spraying their clothing, accessories and bicycles with the reflective LifePaint, then cycling around a city in the dark with the sprayed areas glowing brightly. After investigating the complaint from a viewer who didn't believe the product could produce the effects shown, the ASA found that the metallic surfaces of the bicycles were sprayed not with LifePaint (which is designed for textiles), but with a different paint from the same company, Albedo 100. Below the video seen on www.volvocars.com, after scrolling through a series of images, the words, "In the making of this film we used both reflective paint products available from Albedo 100" are visible. Volvo Car UK responded to the ASA by saying the ad had a disclaimer and offering to make it clearer. The automaker said that LifePaint could be used to produce the same effect shown on the video on bicycle frames, although it would not last for long, and provided a video showing LifePaint being used on a bicycle frame before being illuminated by headlights. The ASA banned the ad from appearing again in its current form. When it won top honors at Cannes, the work was praised by Promo & Activation jury President Matt Eastwood, global chief creative officer at JWT. He said, "It was a car brand that got involved in helping cyclists and drivers save lives. But it was about more. [It] really made the brand feel like it cared about humanity and it felt like it lifted society to a higher level. It hit on one of the key things we were looking for." The work's success led to a Halloween rollout, encouraging kids to "Be scary, be safe" when they went out trick-or-treating. A joint statement from Volvo and Grey London emphasized that the ban relates to the film and not to the product, adding, "We have accepted the ASA's decision and apologize for any confusion caused."